Cauliflower Curry Recipe / Gobi Masala is a healthy and delicious Indian vegetarian recipe goes well with Roti,Chapatti, Naan, Paratha and Dosa. 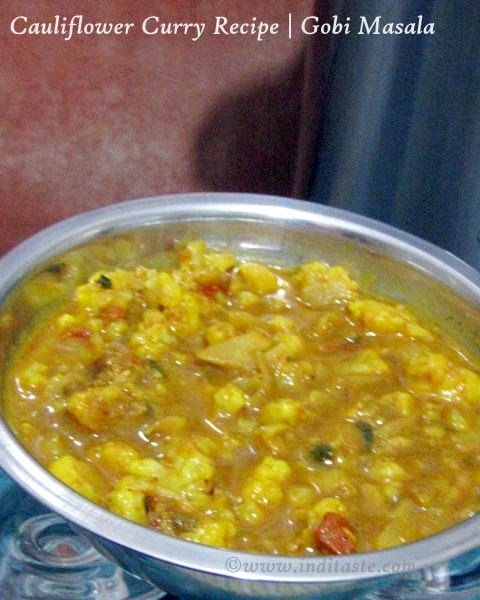 This curry comes out like a gravy consistency and this recipe is my favorite Cauliflower Recipe, Try this recipe and enjoy. Cauliflower is very low in calories, it comprises of several health-benefiting antioxidants and excellent source of Vitamins and Minerals in addition to be low in fat and zero cholesterol that help prevent overweight and diabetes. Clean And chop the Cauliflower into small pieces. Wash and cut the Onions and Tomato's. 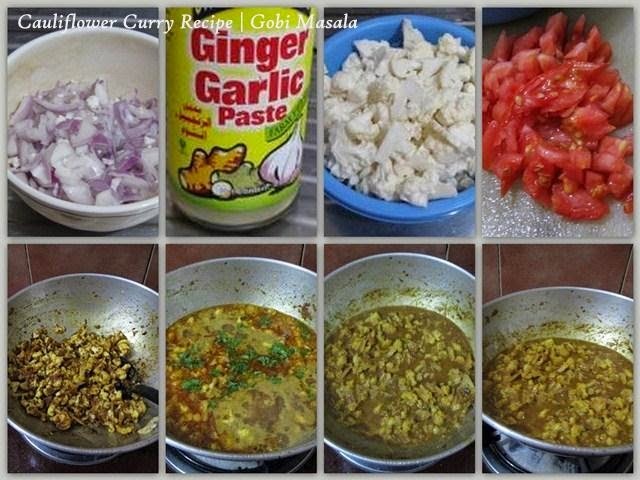 In a Kadai add oil,when the oil is hot add chopped Onions and Ginger Garlic paste,fry until the raw smell goes. Now add the chopped Tomato's,fry until it became mashy. Now add the Cauliflower,Salt and Turmeric Powder,give a gentle mix leave it for 2 Minutes,the water in the Cauliflower will comes out. Now add water and cook the Cauliflower well. Give it a stir from time to time. 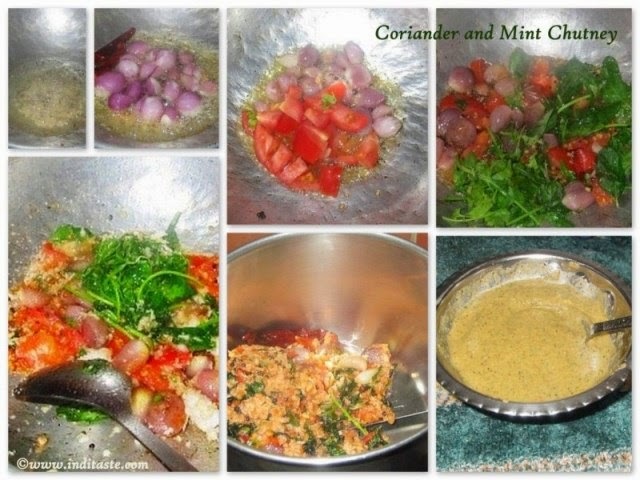 Add water if you feel needed..
Garnish with some Coriander leaves and serve hot. Coriander and Mint(Pudina) Chutney is a healthy and tasty breakfast recipe from South India. There are various different variations in Preparation of this chutney recipe. 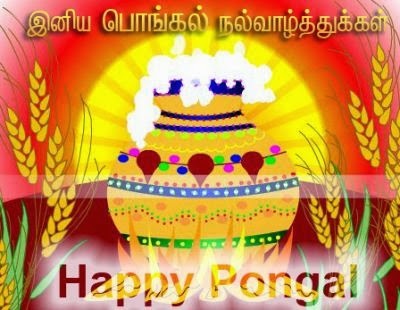 and this method is my favorite and also common one in Tamil Nadu. This chutney goes well with Dosa, Idly,Roti and even with Rice as a side dish. Small Onions(Shallots) 10 to 15 No. Tomato Small Size 1 No. Clean and wash the coriander and mint (pudina) leaves. Wash and cut the tomato's. In a kadai add oil when the oil is hot add urad dhal,channa dhal fry it well. Now add the small onions, fry until the onion became transparent. 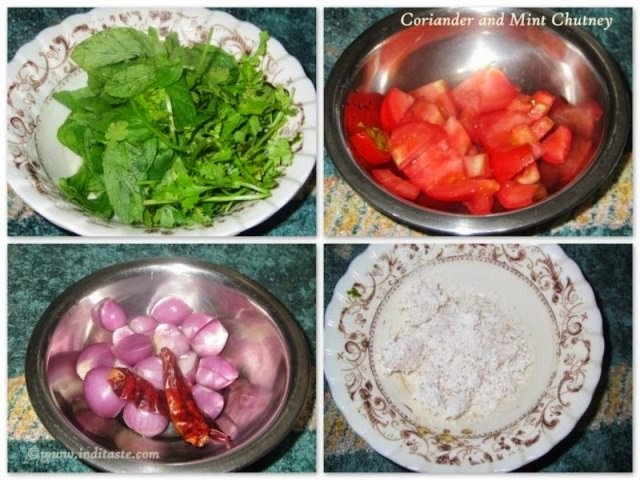 Add the tomato's, coconut, coriander and mint (pudina) leaves fry it well. Allow the mixture to cool and grind it well. No need to add tamarind, tomato will give a sourness to the chutney. Coconut is also an optional. Serve with Idli, Dosa or Rice as a side dish. 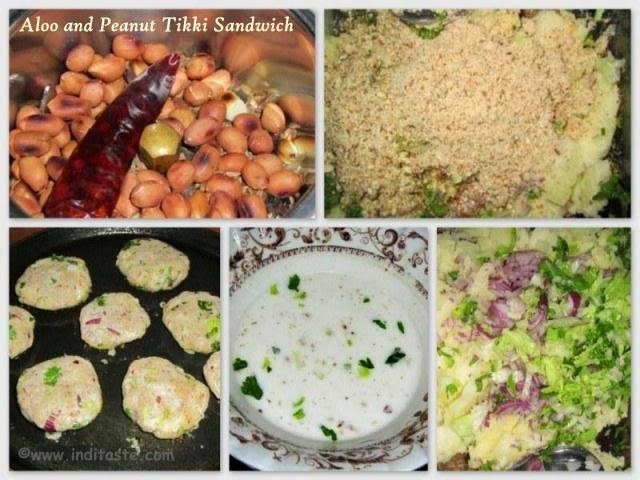 Aloo and Peanut Tikki Sandwich is one of our favorite recipes which I do so often, Tikki or Patties is a popular snack in India . 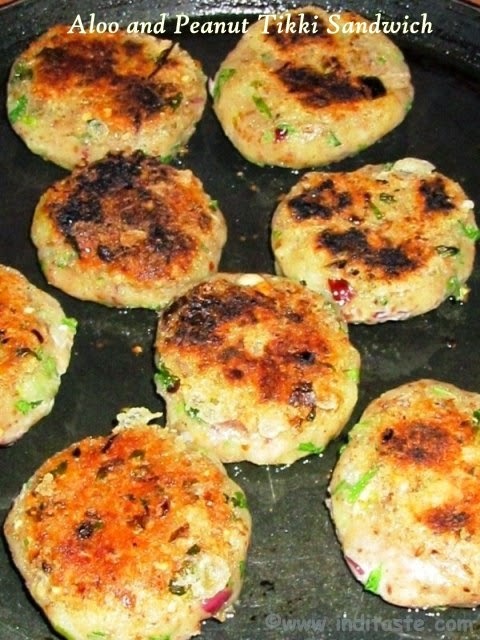 Whatever made with potato(Aloo), me and my husband will enjoy it, I added Peanut as a main ingredient which enhances the taste, This Tikki is soft and crunchy with mild spices so children also loves. Potato medium sized 1 No. Chilli Flakes 1 tsp (or) Dry Red Chill 1 No. Chopped Green Chilli 1 Tsp. Boil the Potato and peel off the skin, mash the Potato well. Take the peanuts, dry red chilli and cumin seeds and roast it. Put the roasted Peanuts, dry red chilli and cumin seeds in the mixer jar and grind into coarse powder. 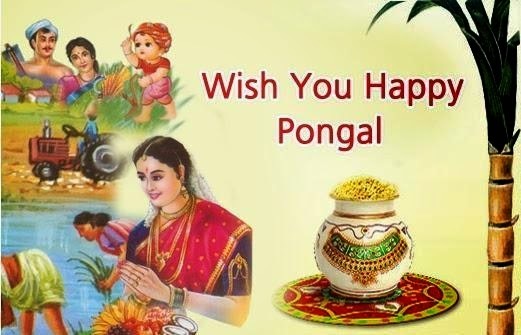 In mixing bowl, add the mashed potato, powdered peanut, chopped onion, green chilli, coriander leaves, garam masala powder and Salt. In a bowl add water and corn flour; mix well without any lumps. Mix it Well, Make small ball and press it down, shape it like round cutlet. Dip the Tikki's one by one in the corn flour mixture and keep aside. In pan add oil, When the Oil is hot put the tikki one by one and shallow it well. 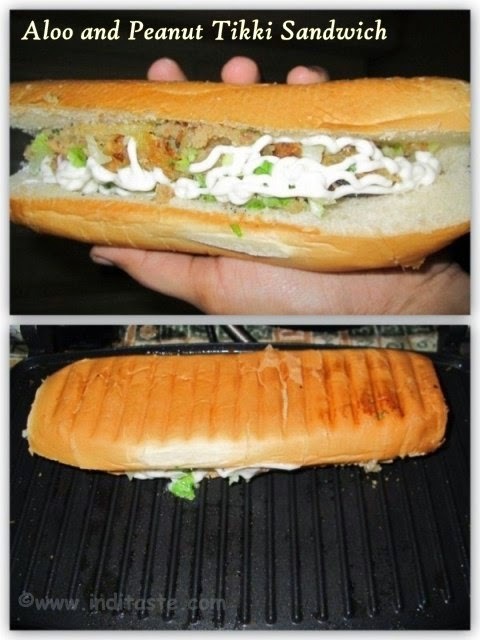 In a Sandwich bread add some Vegetable salad, line the Tikki and add your favorite sauce grill the bread and serve. For children don't add the green chilli. 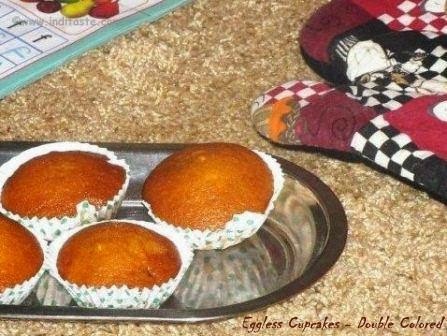 Instead of sandwich you can serve only Tikki with some tomato ketchup or any chutney for children. 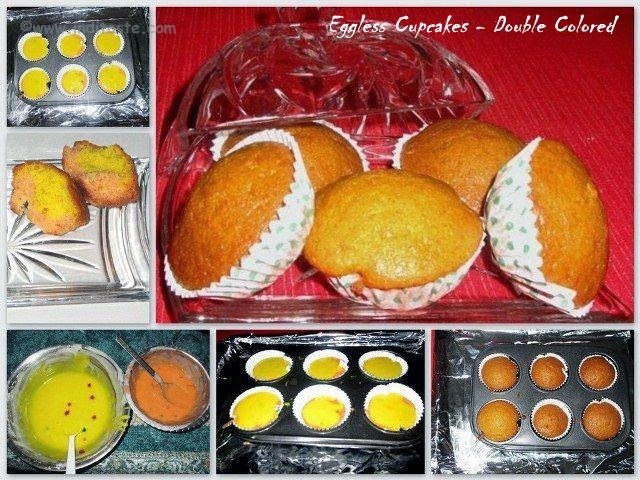 Eggless Double Colored Cupcakes is a yummy and easy to make Vanilla Cupcake Recipe. 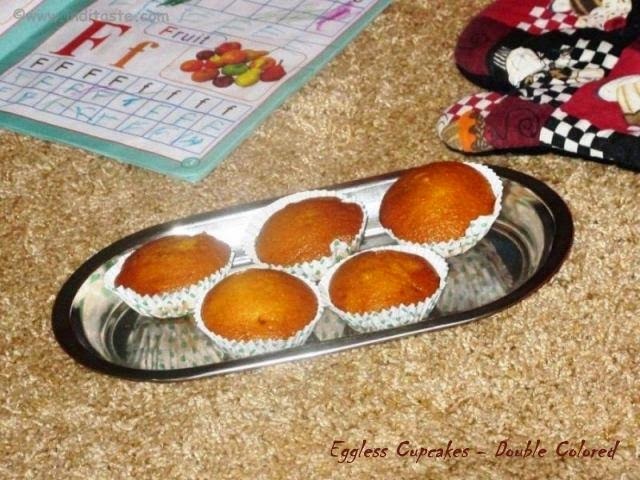 This is my first cake recipe using Oven, I bake it for my little one who loves cake very much, my son love cream cake only, to attract him I used different colors. He enjoyed the colored Cupcake. In a Mixing Bowl add the sugar and buttermilk mix it well until the sugar dissolves. 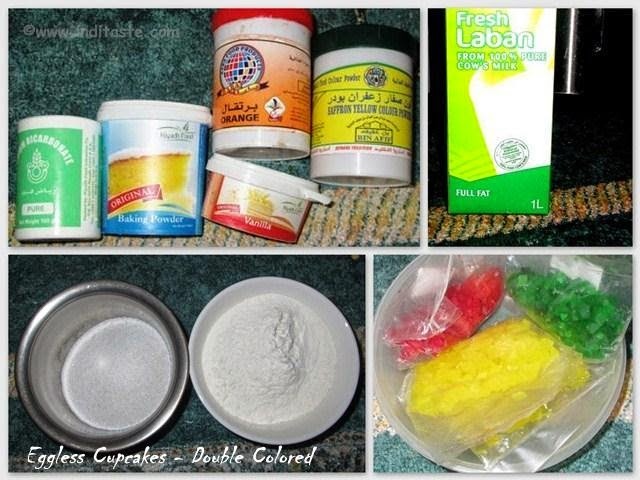 Mix well and divide into 2 parts, then add the food color mix well. 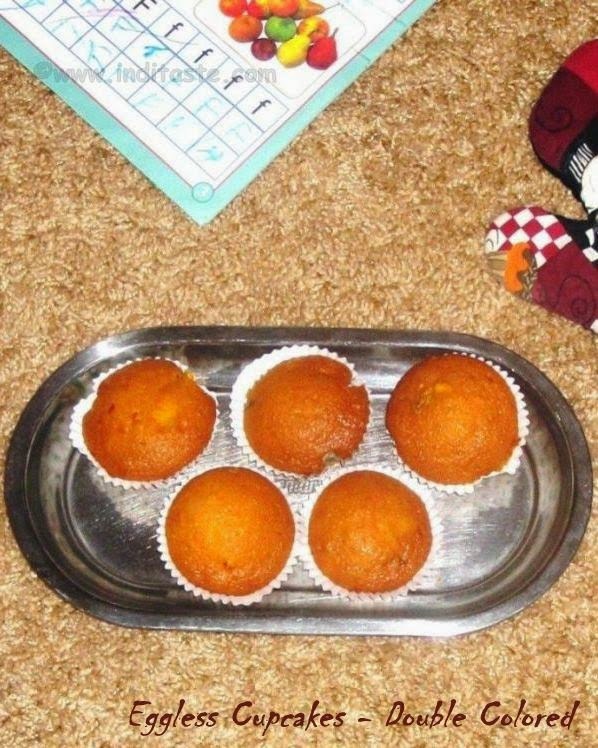 Bake at 180 degree preheated oven for 20 minutes or till toothpick inserted in center of cupcake will come out clean. Ensure that the yogurt or buttermilk in room temperature. You can decorate with whipped cream and serve. 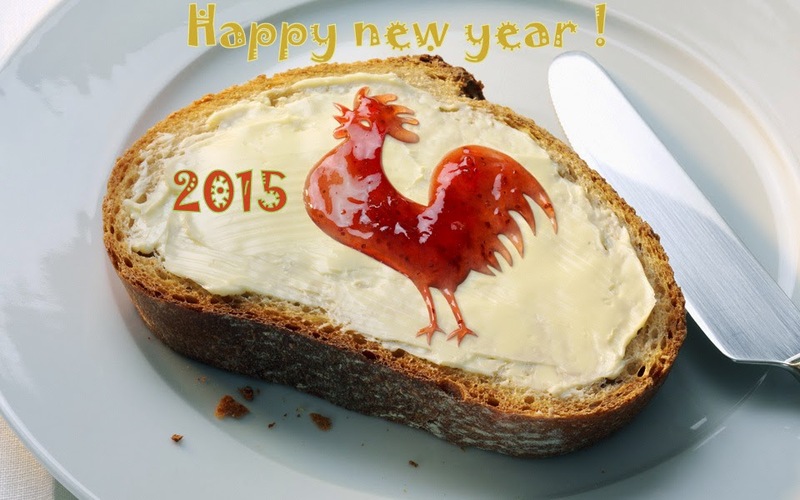 Wishing everyone a prosperous and healthy year!